What’s the Best Eye Cream for Reducing Wrinkles? Of all the areas of the face that concern my clients the most, it’s the appearance of wrinkles and dryness around the eyes. After all, it is the first visible sign of aging with fine lines starting to show between the ages of 28-32. What can you do? Simple. Find a high-performance, well-formulated eye cream and use it faithfully. Who it’s for: Anyone who has fine lines, dryness, and wrinkles around the eye area. Palmitoyl Oligopeptide – line-filling peptide to encourage healthy cell-to-cell communication for deep wrinkle repair. Astaxanthin – powerful antioxidant to enhance skin’s elasticity and freshness. Snap-8 – a Botox®-like peptide to prevent and correct expression lines. Licorice Extract – reduces inflammation that leads to wrinkles. Hyaluronic Spheres – instantly fills and plumps lines from within. Full ingredient list: Water, Caprylic/Capric Triglyceride, Hybrid Sunflower (Helianthus Annuus) Oil, Glycerin, Cetyl Esters, C12-15 Alkyl Benzoate, Cyclopentasiloxane, Cetearyl Methicone, Glyceryl Stearate, PEG-100 Stearate, Ethylhexyl Palmitate, Butyrospermum Parkii (Shea) Butter, Magnesium Aluminum Silicate, Panthenol,Acetyl Octapeptide-3, Dimethicone, Soybean (Glycine Soja) Sterols, Soy Phospholipids, Linoleic Acid, Sodium Hyaluronate, Amorphophallus Konjac Root Powder, Ceramide 2, Astaxanthin (Haematococcus Pluvialis) Extract, Palmitoyl Oligopeptide, PEG-10 Rapeseed Sterol, Isohexadecane, Polysorbate 80, Phytic Acid, Ethylhexylglycerin, Phenoxyethanol, Acrylamide/Sodium Acryloyldimethyltaurate Copolymer, Tribehenin, Trihydrostearin, Stearic Acid, Hydroxyethylcellulose, Rosemary (Rosmarinus Officinalis) Leaf Extract. 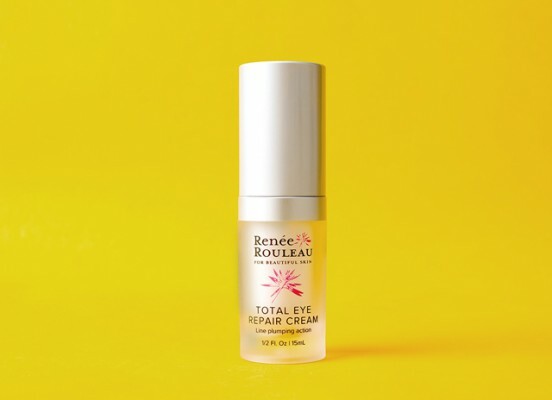 Where to buy: Total Eye Repair Cream is sold exclusively at Renée Rouleau here. How to use: Pat a small amount under the eyes using your ring finger (the weakest finger) until cream disappears. May be used morning and evening. Got dark circles? Use the Vitamin C Eye Brightener. My skin gets really dry during this time of year, so I’ve been looking for some facial creams to help with that. I like that you suggest choosing a product with astaxanthin because it helps with elasticity and freshness. This sounds like it would do my skin wonders, so I might need to look for something like this. 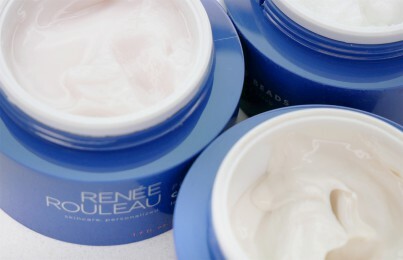 Hi Renee – would you recommend using an eye cream that is not for your skin type? I am 20, and have little lines when I smile hard or laugh around the corners of my eyes and some underneath – but I feel that this eye cream may be a little much. Should I try the Firming Eye Cream instead, though not for my skin type?